Meera Lester is the author of nearly two dozen nonfiction books and the proprietress of the real Henny Penny Farmette, located in the San Francisco Bay area in Concord, California. Meera co-founded Writers Connection, a Bay Area organization of writers and publishing professional. 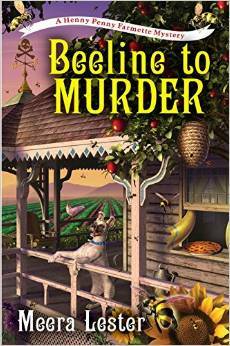 Click here to enter to win a print copy of Beeline to Murder!